The year 2014 seems to have been very important for chess and its most recognizable figure, Magnus Carlsen. 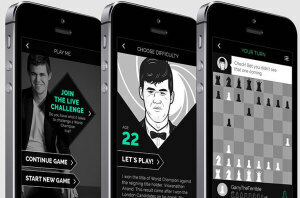 Earlier this year Magnus, current world chess champion and highest ranked player in the history of the sport, launched a new mobile initiative that he hopes will broaden the global chess audience and help introduce younger players to the game. 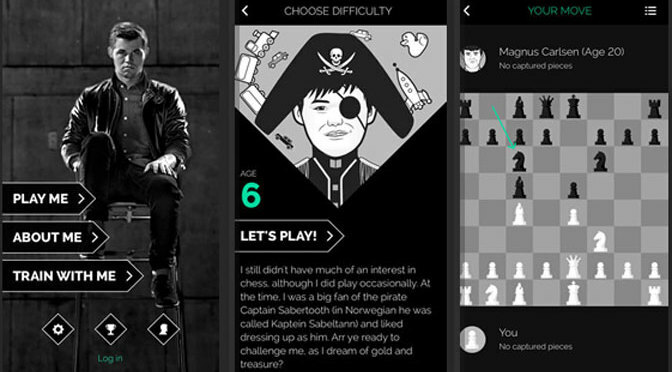 Downloaded over 340,000 times across more than 195 countries, Play Magnus, available now for both iOS and Android, gives users the chance to play against Magnus at different stages of his life, letting them glimpse into Magnus’ own progression through the game. I recently had the chance to meet Kate Murphy, CEO and Managing Director for Play Magnus, and talk about the development of their app, the future of chess, how Magnus was able to play against all of Norway and whether or not he has ever lost to his electronic self. GiN: What was the inspiration for this project? Kate: Essentially, the whole reason Play Magnus came to be was that Magnus wanted more kids playing chess, and that’s his goal: to get more youth and young people playing chess. So far, we’ve been very successful in doing that. Magnus has managed to attract a lot of new users to the app as well as chess players, which has been a great combination to have. 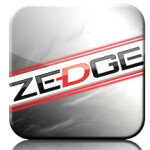 Both very experienced players, such as grandmasters playing in the app as well as absolute beginners including myself. That’s the real idea, to spread chess and that’s why Play Magnus began in the first place. From there we’re looking at building more digital products, so the actual app Play Magnus won’t be the last to come out of the Play Magnus brand. Magnus also has wishes to develop beyond just the chess game but also looking into doing new apps and digital products. That’s the direction we’re headed. Actually, right now I’m in Krakow with our development team – half are here and half are in Norway – and we’re working on the next phase of Play Magnus, to start brainstorming the next app we’re going to be launching. That’s kind of top level of what’s up, hopefully that gives you a bit of information about Play Magnus and our goals. GiN: What you would want people to take out of this chess app as compared to other, existing chess apps? Kate: I think is the humanized component. Yes it is a computer, but it’s the first chess engine to be programmed after a specific person and their playing style as well as incorporating someone’s entire playbook. The chess engine itself includes every single game that Magnus has played and has been recorded since he was 10 years old. GiN: Wow. How many games is that? Kate: There’s thousands and thousands of games inputted into an algorithm of our chess engine. So it will open like Mangus did at a certain age in a certain year, it will close like him and have mid-game strategic decisions like he would have at that time. An algorithm has also been built so that it will make decisions based on his style at that age. So even if it might not have been as smart to make this move, at age 10 he might not have done it that way, he might have been more bold and done something more risky. And so it plays like him in that sense as well. That brings a lot of experienced chess players into the app because they’re not used to getting that humanized component from a computer. For example, when you can’t find a match online or you just want to challenge yourself against a computer opponent, so that is very unique. The other thing I would say people are getting out of Play Magnus that you’re not going to get out of others are Magnus’ training videos. 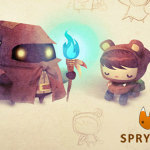 He’s selected specific problems for different strengths or skill levels, and has walked through how to solve these issues or given tips on [them]. Bringing Magnus close to people through his app I think is quite unique, too. GiN: Yeah! I really enjoyed the fact that Magnus is so heavily involved with the app. I downloaded it a few days ago and I’ve been playing it, and the fact that he’s having these in-game tutorials and the fact that he’s kind of including himself in a face-to-face way by playing against people who win against him at given ages is pretty fantastic. In my mind it’s also very unique as a game, and that actually answered another question that I had – how did you encapsulate him or the essence of Magnus in this app? 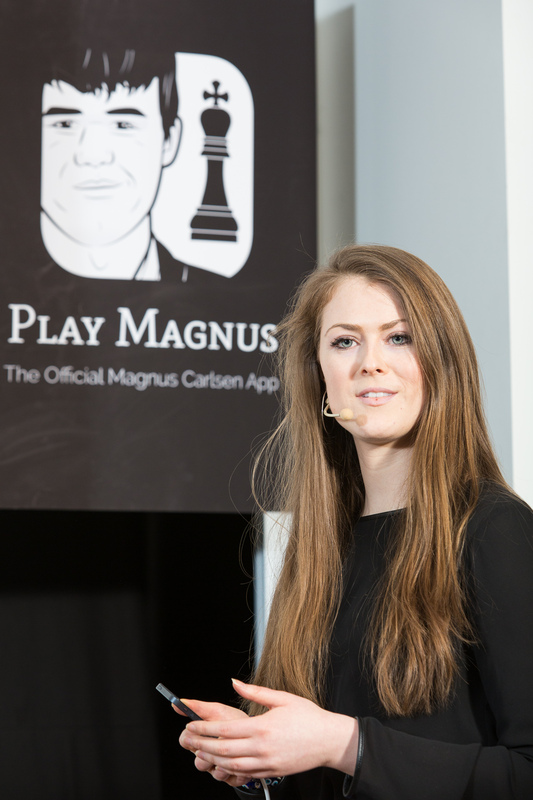 – I mean I believe that I am playing Magnus because I am told that I am playing Magnus, but I guess the way that you’ve taken all the recorded games he’s played since age 10 and compiled them into an app is pretty fantastic. 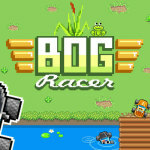 So what influenced the flow of the game itself? 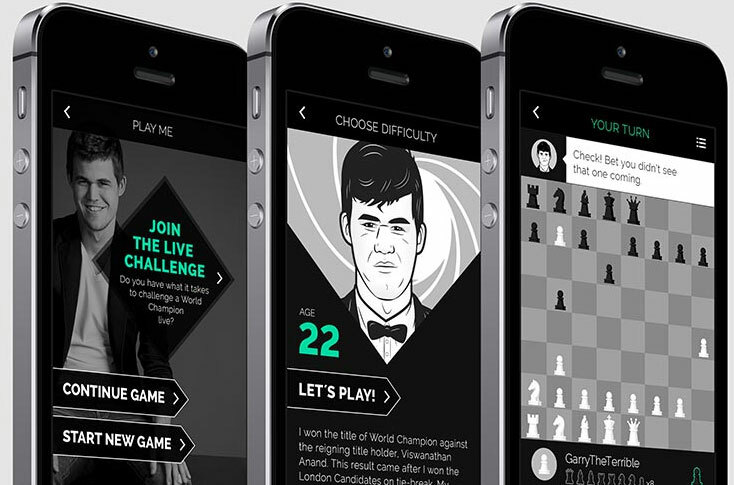 Magnus Carlsen giving advice to some players in his app. Kate: What influenced that was mainly what you see on the market for the chess industry right now is all the same. To be honest, we’ve received some backlash based on our design and our pieces and our board. “There’s no color!” “It’s not wood!” “It’s not traditional pieces”, and that’s a repercussion that you receive of doing something differently and a little out of the ordinary. What I think chess needed to attract, or still needs to attract, the youth and young people to thinking that it’s cool, is to bring in this factor of newness. Or originality. Making it look like something they recognize. 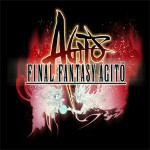 If this app looks like another cool game, then maybe youth are more likely to play chess instead of Angry Birds. Kate: So that’s part of the reason of bringing in the marketing component and Magnus’ face. Making it seem more like a game rather than just traditional chess. GiN: You mentioned future projects that Play Magnus is working now. Do you think you could give us any insight as to what they could be? Kate: What I can tell right now is that the next app that we’ll likely be developing is a training app, so learning about the game. Not just like mate in two, but more strategic positions and maybe bringing in some of Magnus’ own games and positions in his games throughout his career. All so that you can learn from problems and have Magnus coach you through them some way or another. We’re still doing a lot of the background in architectural design around that, so we haven’t actually gotten a full concept finished yet. But that’s where we are headed right now. GiN: What do you see as the future of chess at this point? Do you see the development of more apps? Kate: Definitely more digitalization. I think if it continues in the way that it’s going at the moment, and with Magnus as an Ambassador of the sport, I have a feeling we’ll see chess even more internationally. For example, in Norway now they’re broadcasting all of the matches on live TV. Not only television, but also on online channels. If people can continue to learn how to bring chess to the people, make it accessible to the average Joe, then I don’t think it would be impossible to see this becoming something that could be on TV in North America, or the rest of Western Europe. If we look at golf, it’s a slow game. But they’ve managed to make it entertaining by the way that they edit and talk around it. I think Norway has begun to do that with chess. I can see the sport definitely becoming more public and fun for all people. I also see more kids getting involved in chess as well. That will be paralleled with digitalization of chess. Now we see programs like America’s Foundation for Chess and their First Move Program. They have 200,000 students across the US now that are taking chess as a course in school, and they’re continuing to expand. We’re seeing chess brought back into schools now, which is really exciting, even in western markets. The eastern markets already have this sport in their classrooms as a required part of – if not after-school – curricula. I see it both ways. It’s exciting to see the changes, especially for a company that’s moving forward in the chess industry. GiN: I think you guys have done a very good job at the forefront bringing in someone like Magnus and incorporating all these different kinds of aspects very well. 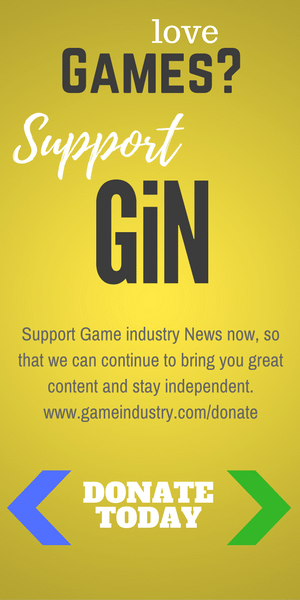 GiN: Specifically about the game, though, are there any Easter eggs or in-game secrets you’d be willing to divulge to our readers? I don’t really imagine chess as being like other games with secret levels or hints, but I just wanted to make sure. Kate: Uhh, there are ways to mate Magnus in 2 moves at age 5 and 5 and a half. I don’t know if that’s a big secret or anything to anyone that plays chess, but you can. Kate: The next update that we’ll be having will allow people a little bit of an edge in beating Magnus in some of the older levels. That’s another reason why I’m in Krakow now, hopefully we can release it by Christmas. It will give you guidance against Magnus at higher levels. GiN: Does Magnus ever play against himself on the app? GiN: He does, really? Does he do well, I mean he obviously probably does. Kate: He drew against himself at age 20. He lost to himself at age 14 when he was playing blitz and then he quit that game or rather he resigned it, then went and played again and won. I’ve seen him playing numerous times. Last Sunday we were at an event where he was on a national television show where he played against all of Norway, and while we were in the waiting room he was in the back playing against himself on his Android. GiN: How did he play against all of Norway? What does that mean? Kate: That was something we did with Play Magnus and the national broadcaster in Norway, NRK, and what happened there was people around Norway could qualify to come and play live in studio on TV against Magnus. They qualified through the Play Magnus app. Once the qualification was done, they created a television show around Magnus playing all these groups in studio, so 6 different groups at the same time, and there was one group, which was Norway. People across Norway downloaded the app and they could make moves where the most made move was the top vote and that would be the move that came to studio. Magnus would play against that move. So we did that last Sunday, it was the first time it’s ever been done and the first time that chess has been on a three-hour national TV show. One point three million people tuned in to the show that night, which is like 25 percent of the Norwegian population. That’s how he played Norway. He did it through the app live on television and played on a physical board, where someone came as a representative and made Norway’s moves. GiN: Well, I think that’s it for my questions. I would like to say, though, that it does seem like Magnus Carlsen has been very influential in getting younger audiences involved with chess. I live near DC, so just walking through certain sections of the city I’ve seen, in the past few months, more young kids playing alongside these older guys on public benches and boards. Even though I can’t be a hundred percent sure that the two are connected, I would like to believe that they are. Hopefully this app will be an influential stepping-stone for reaching out to a younger audience, also thank you for taking the time to speak with us today. Kate: Thank you, we appreciate it.